Long View needed help breaking away from their image as “your Grandfather’s IT company”. They wanted to modernize, while making sure to clearly reflect their long-held position as a thought leader in IT solution integration. 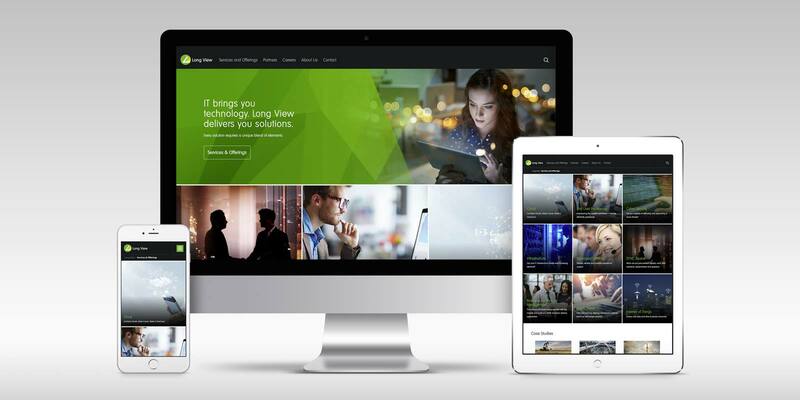 To achieve this, Long View required a completely refreshed website that would increase awareness, understanding and sales of their unique IT services & offerings – all while providing a sleek and streamlined user experience. From the get-go we knew it was essential for the new website to increase understanding and awareness of Long View’s services and offerings. Equally important was modernizing their look and demonstrating their solid foundation as an established industry partner. To accomplish this and achieve an intuitive, smooth user experience, we conducted key stakeholder interviews and executed informed site-mapping and information architecture (IA) through detailed wireframing. This process informed the design and development process, as we carefully developed new, elevated brand visuals that seamlessly married with key heritage brand elements. From kick-off to launch, responsive design was carefully considered, making sure there was an optimal experience delivered across all devices and platforms. Long View’s website evolved from outdated and cumbersome to striking and nimble. Understanding of product and service offerings increased, resulting in increased sales. Partnership and career inquiries grew. 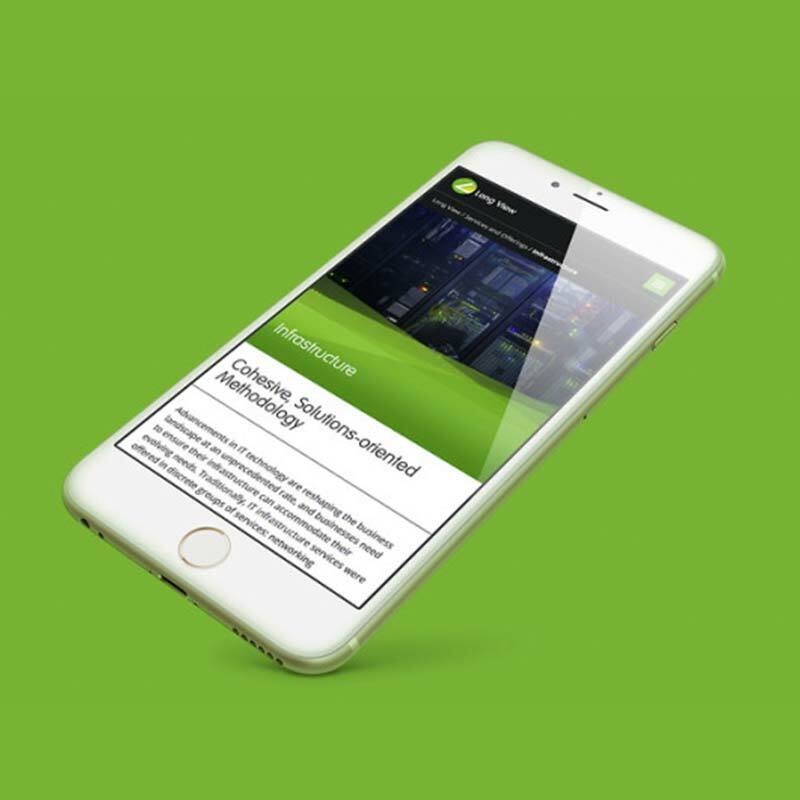 In addition, a new microsite was designed and developed for Activate Digital, Long View’s digital transformation conference for industry leaders. As one of the most powerful information technology services and solutions companies in North America, Long View System’s online presence now accurately reflects this future-focused company.